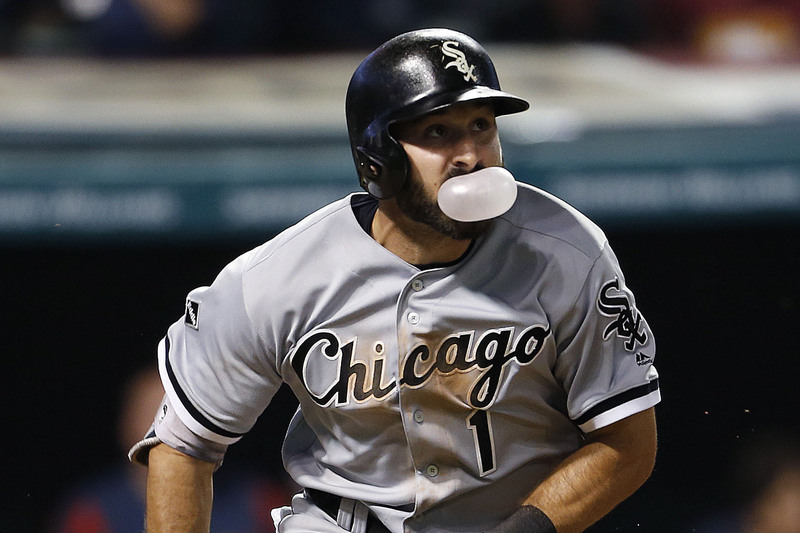 Adam Eaton managed to hit a grand slam while playing with his gum. Not only did White Sox outfielder Adam Eaton win Wednesday night’s game against the Indians with a grand slam, he did it in style. Eaton came to the plate in the top of the ninth with the bases loaded and chewing a big wad of bubblegum. So of course he blew an enormous bubble right when he started his swing. It’s an unorthodox timing mechanism, but it worked. It’s a little tough to see in the video but Eaton blew another bubble right after he stepped out of the box. Eaton’s homer was the lowlight of a nightmare inning for Cody Allen. With Andrew Miller unavailable, the Indians turned to their former closer to pitch the ninth. He allowed five runs on four hits and only got one out.